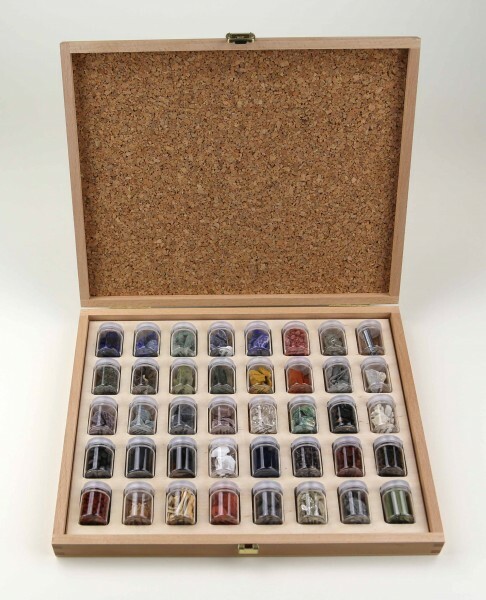 Set: 40th Anniversary Assortment | Assortments | Pigments | Kremer Pigments Inc. 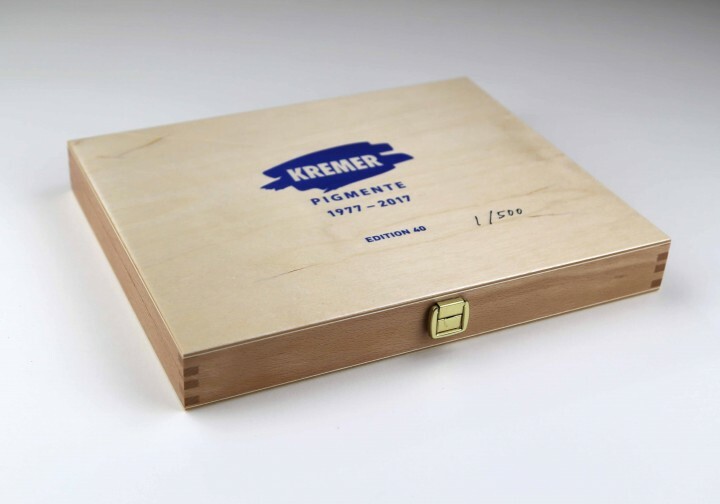 In 2017, Kremer Pigmente is celebrating its 40th anniversary and marking the occasion with a special Anniversary Assortment: It is comprised of 40 glasses containing 39 historical painting materials and one historical tool. Each jar stands for one year of the companys history  the assortment as a whole is a symbol of our passion for historical colors that we strive to make accessible again. Limited edition of 500! 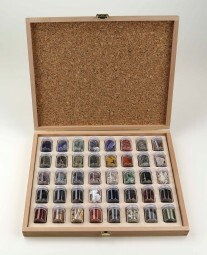 Customer evaluation for "Set: 40th Anniversary Assortment"